In this free online accounting course you will be introduced to accounting and its use in making business decisions. You will learn how to identify and describe the three basic forms of business organizations, and also distinguish among the three types of activities performed by business organizations. 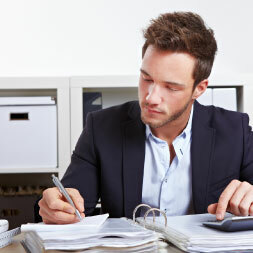 The course then describes the content and purposes of the income statement, statement of retained earnings, balance sheet, and statement of cash flows. You will learn about the basic accounting equation and describe its relationship to the balance sheet. The course then shows you how to prepare an income statement, a statement of retained earnings, and a balance sheet, and also how to analyse and use the financial results - the equity ratio. This free online accounting course will be of great interest to entrepreneurs and business professionals who would like to get a thorough introduction to accounting principles, and to any learner who is interested in accounting as a future career.